A blog is the gift that keeps on giving! When I write a blog article, that's not the end of that story. Whenever possible, that blog becomes a marketing piece, a thank-you note, an "I was thinking of you" reminder to a prospective client, and another opportunity to remind clients and prospects of my service and expertise. Here's one example: There was a buyer who came to Baltimore from the British Virgin Islands to find a place for her college student daughter. 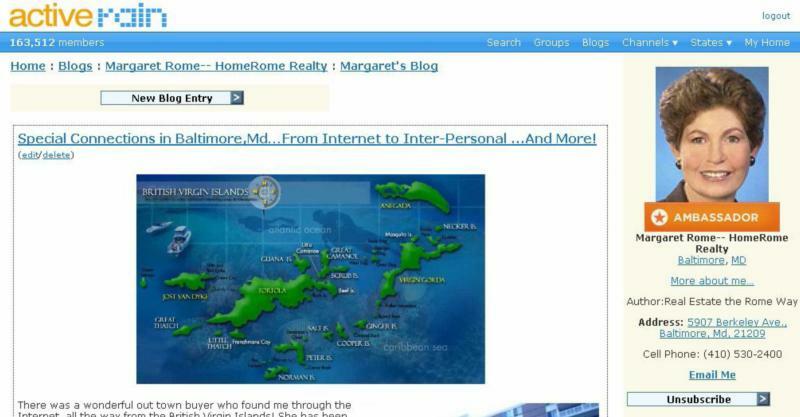 She found me through the Internet and was interested in one of the condos I had listed. She was a delight to work with, and bought one of the condos for her daughter. I did a follow-up post on that which helped to reinforce what was already a good relationship. I pointed to the story again in a post that reminded folks that many young people – singles and young families – are finding Baltimore condos to be an affordable choice with great convenience features. My listing inventory of condos is at an all time high, and I find that younger buyers are looking at my high-rise buildings and thinking of buying. Something else I do is use a blog article as a reminder gift for a person or business. For example, when I write about a restaurant like Tio Pepe in Baltimore, or a dairy with great ice cream in Harford County, I print copies of the article in color and then laminate them. I take them to the owner the next time I visit - one always goes on the wall, and the other is for them to show off. It takes just few minutes and a few cents, but the impact is huge. Blog articles also are a source for my print advertising. When I have great feedback from a client, like the cient from the British Virgin Islands, I use excerpts in my print ads to reinforce to both clients and prospects the level of service they can expect. And of course the great benefit of having a large collection of blog articles is that you have taken the time to think and write about many aspects of the real estate business. After a few hundred thousand words, you have the core of a book that you can publish and use to promote yourself to prospects and clients. No magnet or mug can compare with the impact of a book with your name as author when it comes to proving that you are the expert in your market. When is a Three Car Garage Really a Four Car Garage? When is a three car garage a four car garage? Let's begin to count. 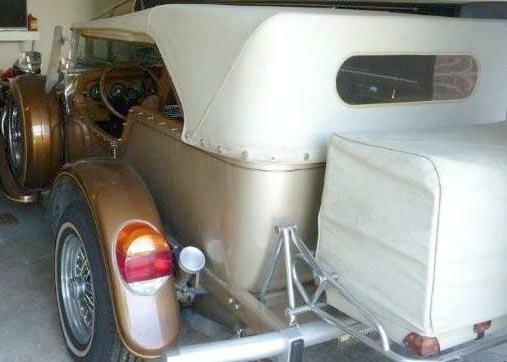 First, there is the cute little metallic light brown 1974 Excalibur convertible. It has only 4,000 miles on it, but I bet they were all fun miles. 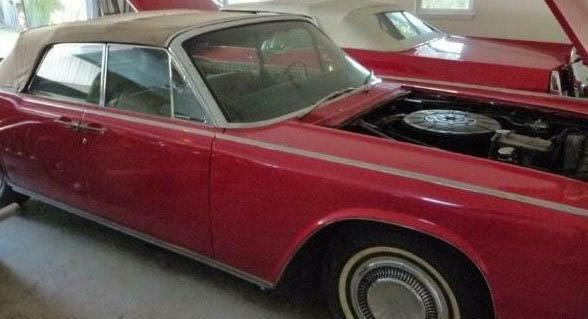 Next is the 1964 red convertible Lincoln Continental with the "suicide doors." (Front-opening doors are called "suicide doors" because, if the door becomes unlatched while the car is moving, the air pressure will pull the door open and make it impossible to close.) This is the same model car, but black of course, that Kennedy rode in on that fateful day in Dallas. 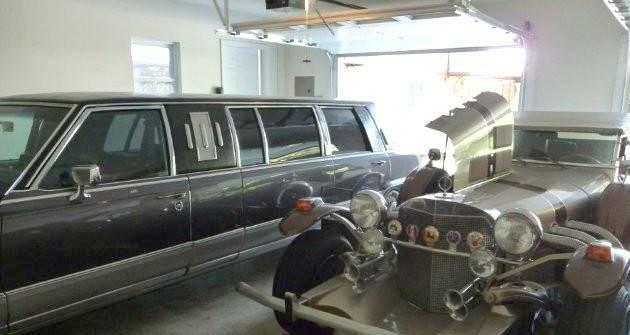 Number three is a 1992 six-door Cadillac Superior stretch limousine. 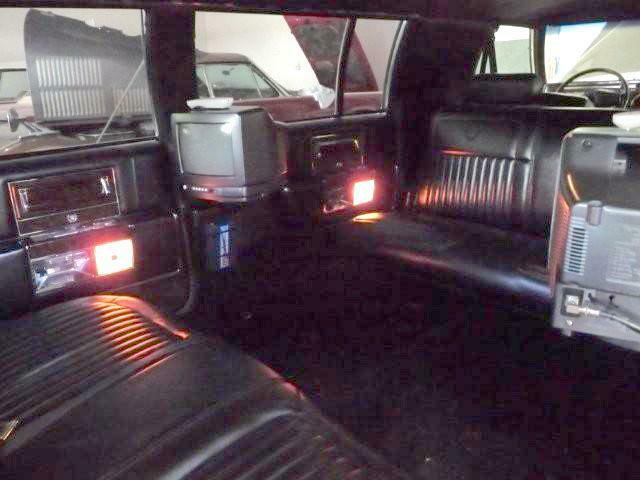 There are two TVs in the back, facing opposite directions. Two of those six doors open only from the inside. 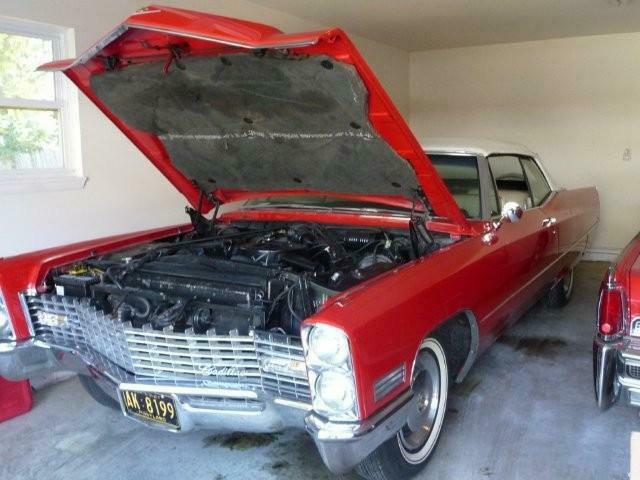 The last is a 1967 Cadillac, also a red convertible. Each of these beauties has been restored with all new leather, new tops and custom paint. I am sure others could give a lot more details on these toys, but these four certainly remind us that the only difference between men and boys is the size of their toys! This oversized three car garage actually has all four of these autos inside. The garage is a beauty by itself. Built 10 years ago, it has heat and air conditioning, windows, electricity and automatic doors that can also be controlled from inside the home. An insulated attic and finished walls make this four-door garage a wonderful space for a home office, art studio, workshop, hobbies and maybe even for some lucky person... a place to house a special auto or toy collection. Security is maintained by the lighting and surveillance cameras. This freestanding structure makes a nice addition to the custom built home at 3317 Old Post Drive. Having the opportunity to listen to Umar, if only for a short time is worth every minute! Highly Effective Ways to Get Past the "Gatekeeper"
You will never make the sale if you don't get to the decision maker. Each time the gatekeeper stops you from reaching the decision maker it costs you MONEY! Come to this week's forum and learn highly effective techniques that get the job done. Host: Umar Hameed, international speaker, author and consultant, and Founder of No Limits Selling and Productivity Cubed. Sales Pro: Stacey Lynn Munsell, Senior Account Executive with Baltimore Magazine, former sales manager at Chef's Expressions Catering, and former director of sales and marketing at Planet Hollywood. Productivity Cubed ,Umar Hameed, international speaker, author and consultant, and founder of No Limits Selling and Productivity Cubed. Umar specializes in getting salespeople unstuck so they can make a ton of money and live happier lives.